Legendary choreography moves downtown, dance miniatures in Lincoln Heights, Mexican Christmas traditions celebrated in Costa Mesa and Northridge, and Nutcracker season is in full bloom this week in SoCal dance. 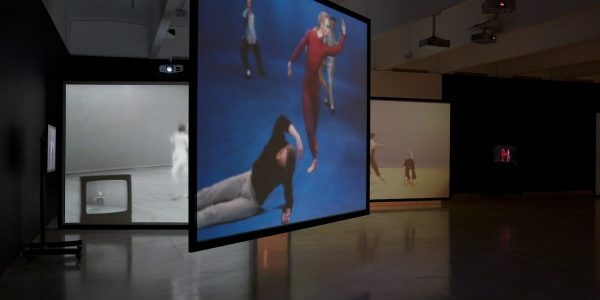 A harbinger of 2019 centennial activities celebrating the life and legend of the late modern dance choreographer Merce Cunningham, Clouds and Screens, includes two large works by Andy Warhol and Charles Atlas, both artists associated with Cunningham’s company. The installation also includes two early videos of Cunningham’s work with performances and more to come during the exhibition’s run. 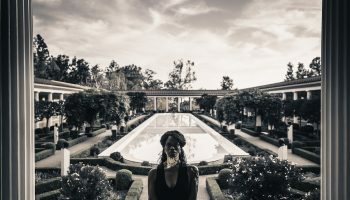 Los Angeles County Museum of Art, 5905 Wilshire Blvd., Hancock Park; Thurs.-Tues., thru March 31, $25, $21 students & seniors (museum admission). http://www.lacma.org/event/memprev_merce2. 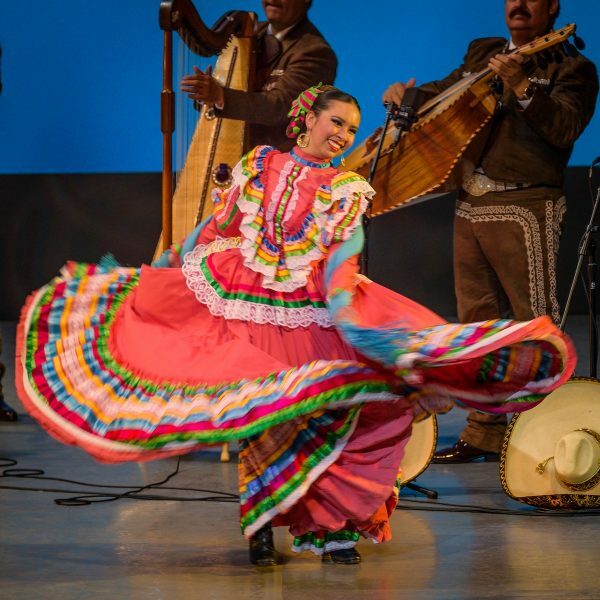 The popular Fiesta Navidad celebrates Mexican Christmas traditions with dancing by Folklor Pasión Mexicana and Las Posadas, plus music by Mariachi Los Camperos. Segerstrom Center for the Arts, 600 Town Center Dr., Costa Mesa; Wed., Dec. 12, 8 p.m., $29-$89. https://scfta.org. Fiesta Navidad. Photo by Reese Zoellner. In Mexico, Christmas Eve is Nochebuena, also the title of this seasonal celebration with the dancers of Ballet Folklórico de Los Ángeles joined by the musicians of Mariachi Garibaldi de Jaime. The Soraya, Cal State University Northridge, 18111 Nordhoff St., Northridge; Sat., Dec. 8, 8 p.m., $34-$79. 818-677-3000, https://www.thesoraya.org. “Nochebuena”. Photo by Kareli Montoya. For its 2018 Winter Dance Concert, Cal Arts’ dance department offers an impressive line up of dances from celebrated choreographers with each work set by a former member of that choreographer’s company. 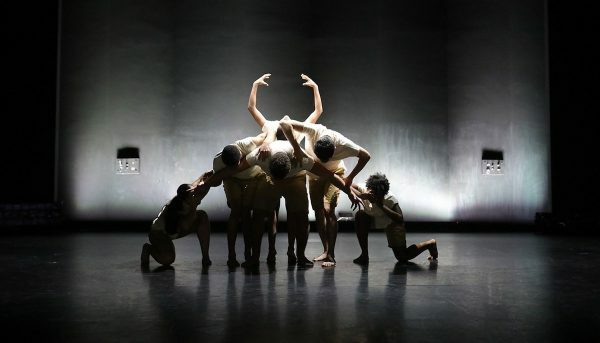 The works include Merce Cunningham’s Canfield (1969), Trisha Brown’s Solo Olos (1976), Jawole Willa Jo Zollar’s Shelter (1988), Jiri Kylian’s Fallen Angels (1989), and Rennie Harris’ Facing Mekka (1998). The styles range from modern to post modern, from ballet to contemporary and hip hop. 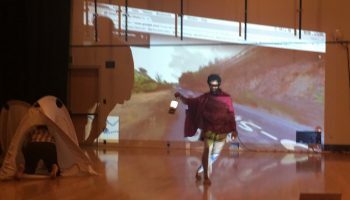 The performance travels to downtown after opening last week at CalArts. The show moves again with the final performance offering a shortened family friendly version. REDCAT, 631 W. 2nd St., downtown; Fri.-Sat., Dec. 7-9, 8:30 p.m., $20, $16 students. https//www.redcat.org. 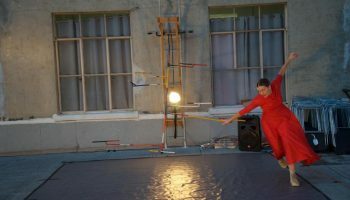 Also at LA Dance Project Studios, 2245 E. Washington Blvd., downtown; Sun., Dec. 9, 2018. https://dance.calarts.edu. CalArts 2018 Dance Concert. Photo courtesy of the artists. 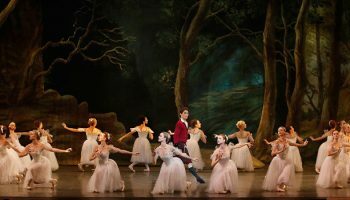 Los Angeles Ballet – Dolby Theatre, Hollywood & Highland, 6801 Hollywood Blvd., Hollywood; Sat., Dec. 8, noon & 5 p.m., Sun., Dec. 9, noon p.m., $46-$124. Also at Redondo Beach Performing Arts Center, 1935 Manhattan Beach Blvd., Redondo Beach; Sat., Dec. 15, 1 p.m. & 5 p.m., Sun., Dec. 16, 1 p.m., $36-$104, Also at UCLA Royce Hall, Westwood. ; Fri.-Sat., Dec. 22-23, 1 & 5 p.m., Mon., Dec. 24, 11 & 3 p.m., $36-$104, 310-998-7782, http://www.LosAngelesBallet.org. American Contemporary Ballet – One California Plaza, 18th Flr., downtown; Fri., Dec 7, 14 & 21, 8 p.m., Sat., Dec. 8, 15, & 22, 2 & 5 p.m., Sun., Dec. 9, 16 & 23, 2 & 5 p.m., Thurs. Dec., 20, 8 p.m., Mon., Dec 24, 1 p.m., $50-$98. https://www.acbdances.com. Festival Ballet Theatre – Irvine Barclay Theater, 4242 Campus Drive, Irvine; Sat., Dec. 8, 15 & 22, 2 & 7 p.m., Sun., Dec. 9, 16 & 23, 1 & 6 p.m., Fri., Dec. 21, 2 & 7 p.m., Mon., Dec. 24, 11 a.m., $45-$90. 949-854-4646. http://www.theBarclay.org. Debbie Allen’s “Hot Chocolate Nutcracker”. Photo courtesy of the artists. 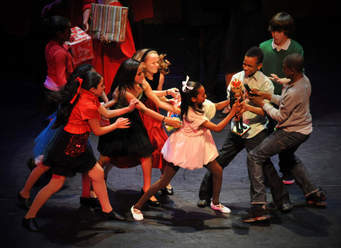 San Pedro City Ballet – Warner Grand Theater, 478 W. 6th St., San Pedro; Fri., Dec. 7, 7 p.m., Sat., Dec. 8, 2 & 7 p.m., Sun., Dec.9, 2 p.m., $29-$39, $19 seniors & children under 13. http://www.SanPedroCityBallet.org. Pacific Dance Academy – Centinela Valley Center for the Arts, 14901 S. Inglewood Blvd., Lawndale; Fri., Dec. 7, 6 p.m., Sat., Dec. 8, 2 & 6 p.m., Sun., Dec. 9, 2 p.m., $18-$23 in advance, $20-$25 at door. (818) 346-4447, http://PacificDanceCenter.com. Ventura County Ballet – Ventura College, 4700 Loma Vista, Ventura; Fri., Dec. 7, 7 p.m., Sat., Dec. 8, 2 & 7 p.m., Sun., Dec. 9, 2 p.m., $25-$40. http://venturacountyballet.com/. Ballet Etudes – Huntington Beach Historic Theater, 1905 Main St., Huntington Beach; Sat., Dec. 8, 2 & 7 p.m., Sun., Dec. 9, 2 p.m., $25-$35. 714-902-9423, https://www.tututix.com/client/balletetudes.